To those not familiar with the Star Trek 'Replicator', it is a device which will provide any (non-living) object upon request, with no apparent cost to the user. 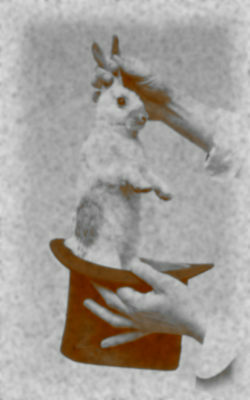 Since it has not really been invented yet, I could not show a photograph of one, so I used the closest analog I could find, a rabbit pulled ex nihilo from a hat. It is unlikely that there will ever be a true 'replicator', but with modern manufacturing taking more and more costs (and human labor) from the production of goods, many items today are effectively 'free', in that their cost is so low as to be unnoticed. Barring some complete economic catastrophe, this trend will continue to cover more and more products and is likely to have profound and unpredictable consequences on the nature of work and society. Thus, the reason for this particular meditation. My interest in economics is derived from my computer simulations of complex systems, which includes population studies and their economies. In keeping with the theory that there have been relatively few new thoughts since the time of the Ancient Greeks (or Chinese), I do not claim any of the following ideas are novel; at most they are a Mix-Master blend taken from various sources over many years of reading, some of which I may cite if I can remember where I first heard them. People often say this (or that) has intrinsic value. I say this is nonsense. Try a simple experiment: At dinner, lean over your plate and ask "What is your intrinsic value?". Unless you have truly strange dining habits, you won't hear a thing - the value of your meal is not intrinsic to it but is a subjective valuation based upon your level of hunger at the moment. The value of that food varies over time; highest at the beginning of a meal and then declining to zero as the left-overs are thrown away. OK - so what about more durable items such as gold coins, gems, real estate, etc? The same subjective valuation applies; just because many (or even all) people in a society believe something is valuable does not make that valuation non-subjective. When European explorers arrived in the Americas, they found groups that thought beads and shells were valuable and the gold nuggets they found in streams were not, so valuation can be cultural as well as individual, but it is still subjective. So, what characteristics determine the perception of value? I believe there are only two drivers of valuation, desirability and scarcity. Neither of these alone is sufficient. As for scarcity, you may possess the world's only weathered rock which reminds you of your mother-in-law, but you likely couldn't trade it for a cold cup of coffee. As desirable as something might be, if it can be obtained without effort, it has little subjective value. A breath of air is immensely desirable, but in the normal course of life it has no particular value as it simply happens. However, to a diver, a breath is expensive, not because the composition of the air has changed but because of its relative scarcity at that particular location (under water...). Thus, we have a simple equation which determines value: V(value) = D(desirability) X S(scarcity). It has been said that economics is the study of a society's management of scarcity. I believe a more accurate definition would be the management of (things of) value. In common parlance the terms scarcity and value may taken to be the same, but I will stick with value as the more appropriate term. Now, what might happen to value in a replicator world? Automated (robotized) systems can economically replace human labor in more and more circumstances; even 'burger-flipping' may become an endangered occupation. Looking at the capabilty of current robots, such as those from Boston Dynamics, suggests it will not be too long before we have a generalized, more or less anthropoid robots capable of doing most tasks, from field labor to high-tech assembly - at least in semicontrolled 'sandbox' situations. Even now, very simple task-specific automation such as truck driving is feasable, and keep in mind, the number one job description in this country is - you guessed it - truck driver! It is likely that within one or two decades, much repetitive work will be automated, and by repetitive, I mean work which can be described by algorithms. These are not only the agricultural workers, drivers and janitors that will be affected but also many high-skill white collar jobs, including engineers, physicians and lawyers. If the work can be described by an algorithm (or 'learned' by an expert system), it can be automated, and it will be if the economics are favorable for it - which brings us back to value and an un-virtuous feedback loop. Like any other commodity, work itself has its value determined by the desirability of the work product and the scarcity of the worker. In a 'perfect' economy, as some particular jobs (say, truck drivers) begin to be displaced by automation, the excess workers replaced by automation would lower the value of their work in general (decreased scarcity), so their cost to an employer should drop to meet the the cost of automation, thus keeping up an equilibrium between humans and automation, or at least a slower decline in the work force. However, in the real world wages are 'sticky' and can't fall below government-imposed minimums or below welfare support levels. This being the case, worker replacement will tend to be much faster than otherwise, and the worker's value will effectively drop to zero once that inflection point is crossed. If 'robotization' follows the same course as other technologies, it will also become increasingly less expensive as designs and production efficiencies improve, therefore opening more niches for automation to replace human workers. So, where will all the displaced workers go? So Now We'll All Just Make Robots! The usual response one hears when worker displacements are discussed go along the lines: "the old workers will just re-train for better jobs", or in this case: "we will need new workers to make the robots". This is nonsense on stilts. Robot production will largely be done by robots, with the human work being in design, research and other jobs requiring very high-end skills. There is no way the displaced truck driver or other blue-collar worker could do these jobs, even if enough of the jobs were available to absorb the excess labor. There is the possibility for placement, at least temporarily, in human-service type jobs, but these also require specific skill sets and will no doubt be at least partially automated at some point. Until there is adequate AI for a robot to 'learn' generalized tasks, there will be many jobs available in niche markets where a more specialized automation is not cost effective. The argument has been made that there will always be a need for jobs where people need to interact with other people because of the unique ability of people to 'read' others. I doubt this will be the case for long, as emotion-sensing robots are being developed, and as shown by Sony's Aibo, people can readily relate to them and form emotional bonds with them. Even as the value of (most) work declines, general living standards will likely increase because of the lower cost of most disposable goods. However, the declining value of traditional work and the increasing value of the remaining high-skill jobs, not to mention the capital value of the producing robots, will tend to concentrate wealth in an ever-shrinking percentage of the population. 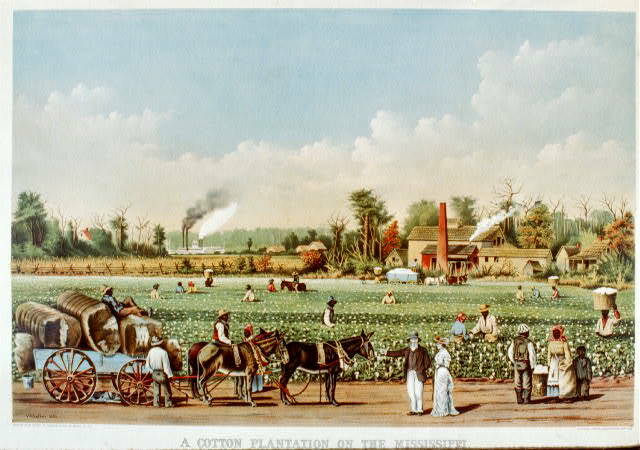 This will, in effect, leave a small cadre of humans as overseers presiding over a 'plantation' populated by what is effectively, a platoon of slave laborers. At least there are many historical examples of how societies arrange themselves in such circumstances - in fact, most of history has been like this. The polloi of Ancient Greece, the plantation aristocracy of the Antebellum South, the Russian dvoryane and others had slaves (or serfs) to provide for their material needs, but exclusionary goods (things others can't have that confer status on the owner) and status displays such as political offices can only be provided by other people, so there will always be work for (some) artists and creative people to supply this need. As has been discussed here before, no matter what is done, there is always a considerable segment of the population which will be unsuited for any type of work that is not already routinely performed by robots. Even if all old workers can be accommodated during some transition period, a new crop of unemployables will continuously crop up. One traditional use for this population has been 'cannon fodder', but if any field fully roboticizes first, it will be the military, so even this avenue would be cut off. For those who want no part of this type of economy or for those who can't participate, there are good examples of alternate paths which one could take, although they require a good deal more effort. Small farmseading or small-scale artisans can do well in such an economy, because the present desire for 'organic' food or 'hand-made' products, will no doubt continue, or even be enhanced, in a more mechanized world. Such goods will be even more status-signaling than they are now and allow for enhanced moral preening by the well-to-do - and supplying them may be a good way to make a living. In fact, whole communities could be organized along these lines, similar to the Amish. The United States has a long history of spinning off such communities who are trying to escape modernity and find peace in a simpler (often religious) life. In present society, one's work, if not in itself giving meaning to one's life and partially defining social status, at least gives one something to occupy time and plan for fun things to do afterwards. Perhaps a Butlerian Jihad will solve the problem, but I find it unlikely that humanity would remove the source of all their prosperity, just so they could go back to work again. Unless a society engages in self-destructive culling operations, some means must be provided to support those individuals whose inability to find a job would normally doom them to starvation. Since at this point material goods are effectively 'free', it would make sense to provide all citizens with a lifetime 'free lunch', whether they could find employment or not. In this case, work itself would probably become a status-good. The only problem with 'free lunches' is that there is always a price; enforced idleness can be corrosive, as witnessed in our inner-cities, and there is the problem of increasing the numbers of free-riders beyond the point where even a wealthy society can no longer afford them. Each citizen receives enough 'income' for a comfortable living. The income is for life and exclusive of any other income. The income ceases (for both mother and father) if a baby is born. (Optionally) the income resumes when the child reaches majority. Private charities would take up hardship cases. This is truly a Brave New World we will be entering!